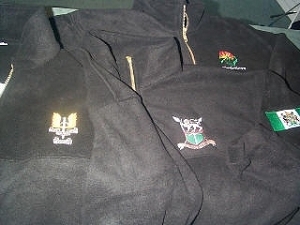 Add your favorite included Emblem to this Full zip down fleece jacket, these are made in Canada. Available in sizes small to four extra large. Colours Black,Forest and Navy Select your favorite included emblem from the dropdown box.